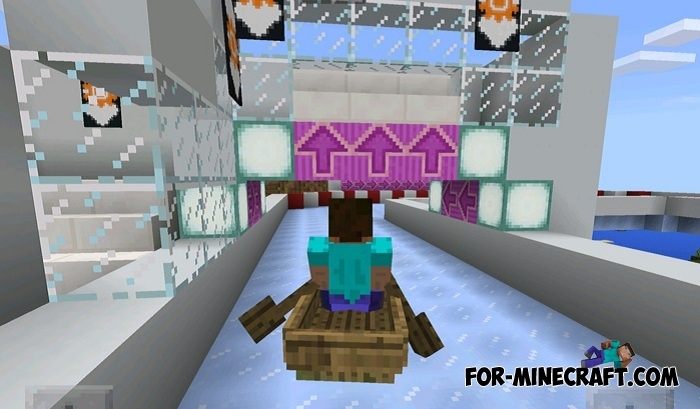 Now boats are able not only to float on water, but also to slide on ice thanks to the recently added function in Minecraft PE 1.2 Beta. If you put the boat on the ice and sit inside, you can glide smoothly and gradually accelerate. Imagine what kind of race can be with friends or other players in multiplayer. 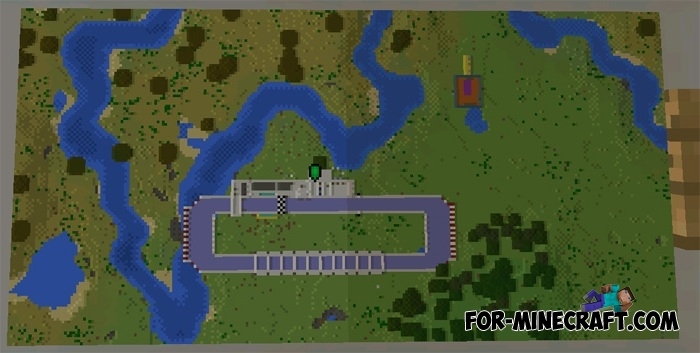 Boat Racing is a new genre of MCPE maps that as elytras makes players concentrate and correctly enter corners. As in any other race, here you need to reach the finish line first and then you will win. If you play multiplayer then the first three players can be winners.